An easy and healthy snack; cheddar peppers that only costs around 14 cents each. Cut the stem off of the jalapenos. 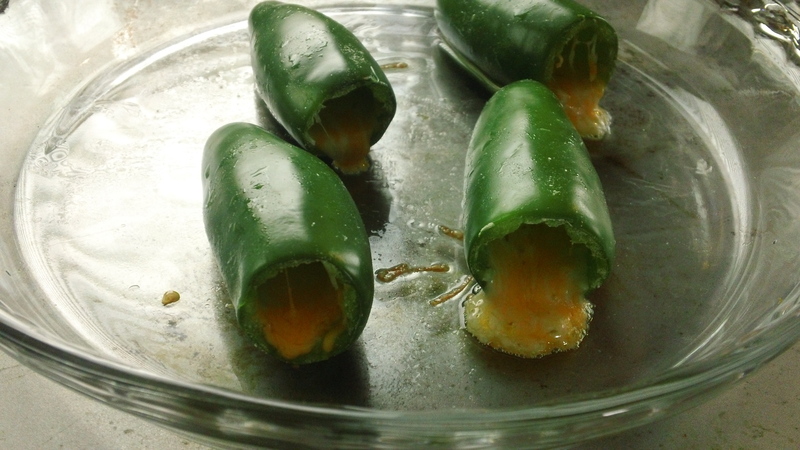 Using a skinny knife, hollow out the inside of the jalapenos without cutting the skin. Rinse out the inside of the peppers. Place the cheese into each pepper, filling them to the top. Bake cheddar peppers at 350 degrees Fahrenheit for 10 to 15 minutes, until cheese is melted. These cheddar peppers are usually a hit at parties or any type of get-together.